Quack quack ladies and gentleman, gather round. 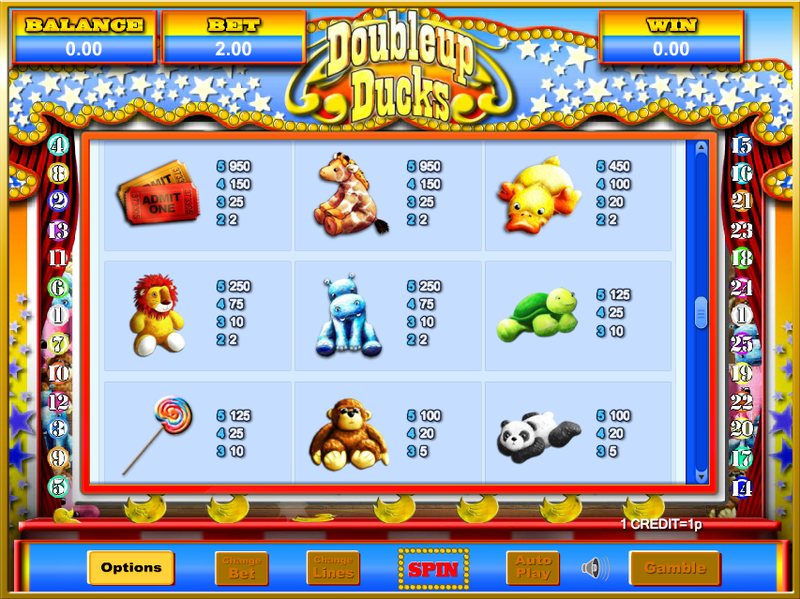 Introducing Doubleup Ducks Jackpot: a fairground-themed online slot from the minds over at Eyecon. How many times can you say that you’ve spent a day at the circus from the comfort of your own home? We’re guessing not that many. This is a 5 reel game, with various different fairground symbols appearing across these reels in hope of being matched by you: the player. For more animal themed game, check out the slots here! The colours here are very bold, and each does a great job in creating a sense of a fairground type environment. Hotdogs, cotton candy, popcorn, you name it, this fairground has it (and don’t worry, there are no clowns here, although Pennywise might be a great addition we think). The jackpot element of this slot is also a great incentive for continued play. Jackpots are not fixed in this version thus always looming in the background across multiple spins until won. The very blueprint of the online gaming industry, ironically flows through the veins of the very appropriately titled Eyecon (an obvious pun of iconic). With an extensive list of titles, Eyecon pride themselves on creating lasting experiences for many to enjoy. Themed games are their strong-suit and will continue to be moving forwards with every new release as they begin to carve themselves a very big part of the online gaming industry. When Eyecon makes moves, people tend to notice that is the power of this game company, play their games if you enjoy immersion on a grand scale. Click to play slot games from Eyecon gaming by taking a look at some of Wizard Slots additional offerings. Symbols in this slot take the shape of a variety of cuddly toy animals. Expect pandas, monkeys, balloons, elephants, hippos and much much more out of these symbols. The elephant symbol serves as this games wild symbol. The wild here works pretty much the same as other wilds in other online slots: substituting for other higher paying symbols and scatters that open up new avenues for success in riches. There is a duck shooter bonus round here that is triggered through matching these wild symbols in repeat succession. It goes without saying but players who want to find those high scores should be looking at using these bonus features to push them into the veteran status that so many players hold. Looking for more details? Click here to find out more. At the end of the day, Doubleup Ducks Jackpot is a slot that doesn't take itself too seriously which is actually quite nice to behold if one suspends their disbelief. Taking ones-self too seriously will lead to you not enjoying this, as well as countless other slots. Keep that in mind. 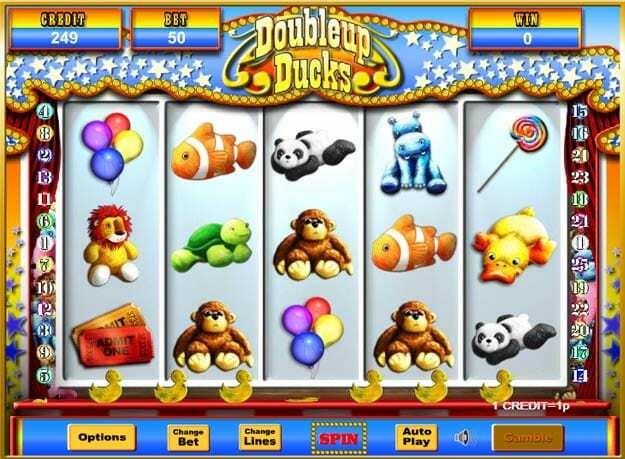 Did you enjoy Doubleup Ducks Jackpot? well if so, you should have a go at Sugar Train Xmas Jackpot.